Minolta RC-1000L Remote Release. Good condition with signs of use. 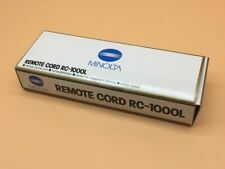 Minolta RC-1000 Remote Release. Good condition with signs of use. Genuine Minolta RC-1000s remote release switch. 55cm cable. Minolta ir 1 set IR 1 boxed in excellent condition. 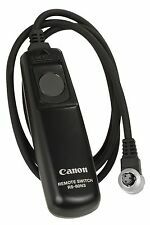 Minolta remote shutter release cable RC-1000. Free postage. 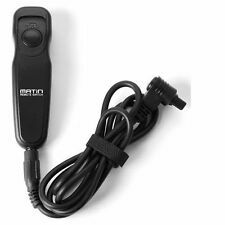 Minolta remote shutter release cable RC-1000. 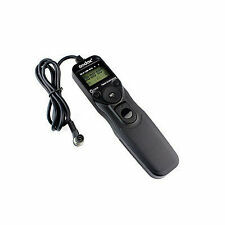 MINOLTA RC-1000 REMOTE CORD - REMOTE SHUTTER RELEASE. Condition is Used. Dispatched with Royal Mail 2nd Class. Fits also on the Dimage 5, the 7, 7i, 7Hi, A1, the A2 and the Dynax 7 d. U. a. for BULB shots. Marke Minolta. The length is 50 cm. 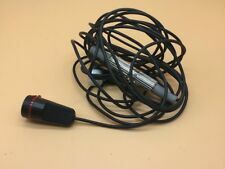 Used Shutter Release Cable: Minolta Shutter Cable Release Made In Japan H11116. Type Shutter Releases. Cord has been used, it is in good condition. The only problem is that it's end cap on the part that you push. Model Minolta RC-1000. Type Shutter Releases. Connectivity Cable. Performance: It works good. It has been fully tested by my tech guys. 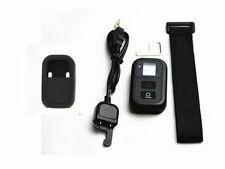 I guaranty that it will arrive as described or your money back. The length is 5 m. Marke Minolta. Buy It Now. Also for Sony Alpha 99 Sony Alpha 37 Sony Alpha 57 Sony Alpha 77 Sony Alpha 65 Sony Alpha 35 Sony Alpha 900 Sony Alpha 850 Sony Alpha 700 Sony Alpha 550 Sony Alpha 500 Sony Alpha 350 Sony Alpha 300, Sony Alpha 200 Sony Alpha 100. Marke Minolta. The length is on 50 cm. fits also on the Dimage 5, 7, 7i, 7Hi, A1, the A2 and the Dynax 7 d. U. a. for BULB shots.